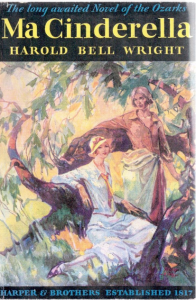 From Wright’s first book, That Printer of Udell’s (1903) to this book (1932), the Ozark author completed his 16th book. This one is typically set in the Ozark hills and involves a backwards woman (Ma) who works hard to give her son a better life, which he eventually comes to appreciate. The morals and virtue of Wright’s books come through.